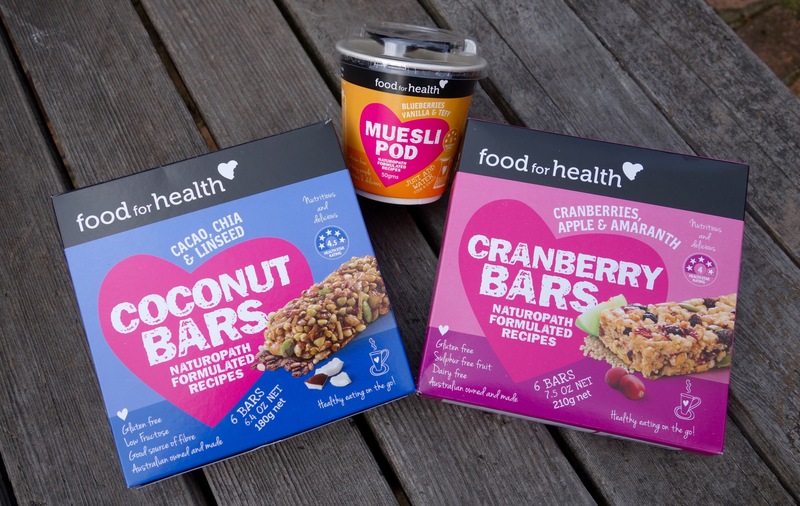 If you are feeling peckish and need to grab a snack, Food for Health’s range of tasty gluten free muesli bars are just the thing. Not only for people with specific dietary requirements, these bars are perfect for those who just like to eat healthier options. My favourites are the coconut with cacao, chia & linseed and the cranberry with apple and amaranth, delicious. This Australian brand, founded by Naturopath Narelle Plapp in 2005, focuses on health and allergy friendly products, which are exported to over eleven countries. Also worth trying is their great range of muesli and muesli pods. This entry was posted on Tuesday, June 30th, 2015 at 9:21 am and is filed under Uncategorized. You can follow any responses to this entry through the RSS 2.0 feed. You can leave a response, or trackback from your own site.